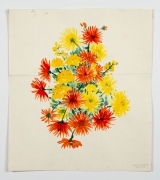 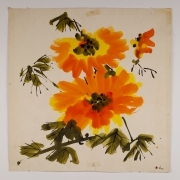 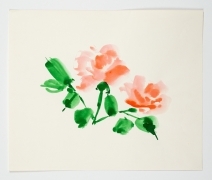 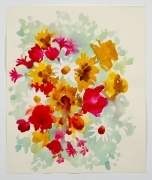 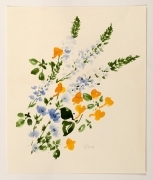 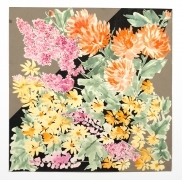 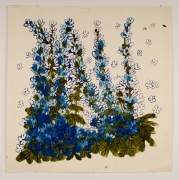 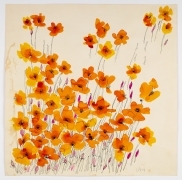 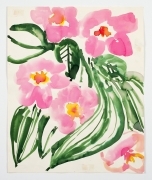 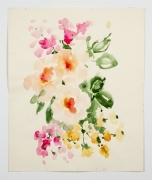 Untitled, from the "Florals" series , n.d.
Untitled, from the "Florals" series, n.d. 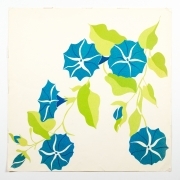 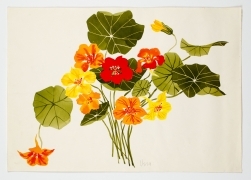 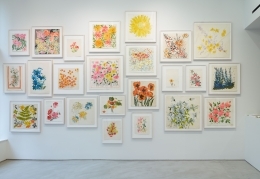 Morning Glories, from the "Florals" series , n.d.
Alexander Gray Associates presented its inaugural exhibition of artworks by Vera Neumann (b. 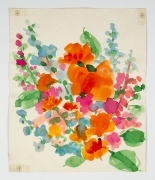 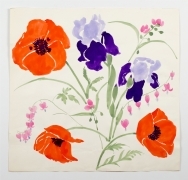 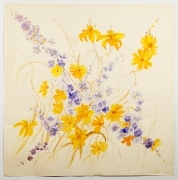 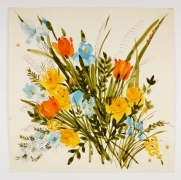 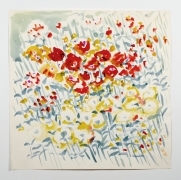 1907, Stamford, CT – d. 1993, North Tarrytown, NY), Vera Paints a Summer Bouquet, a selection of iconic watercolors and drawings of Neumann’s primary muse: bountiful, abundant, and joyful flowers. 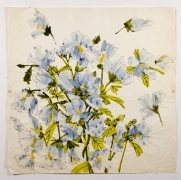 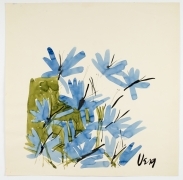 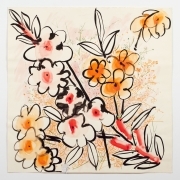 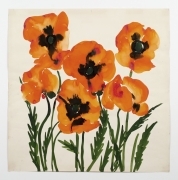 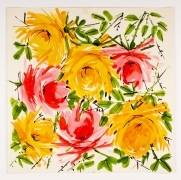 These artworks, made between the 1950s and 1980s, will be exhibited for the first time, although many of the images will be familiar to collectors of Vera scarves, napkins, and apparel. 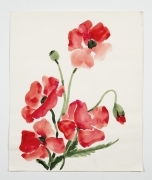 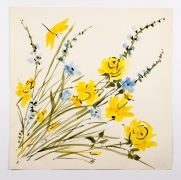 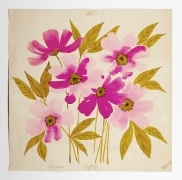 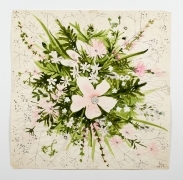 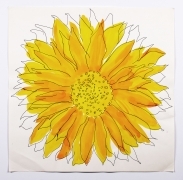 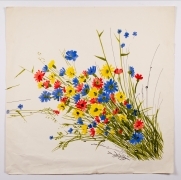 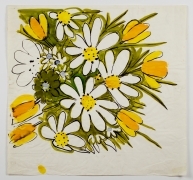 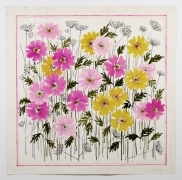 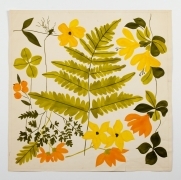 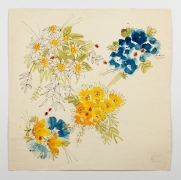 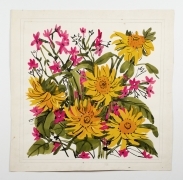 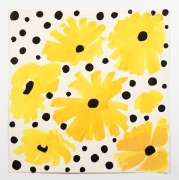 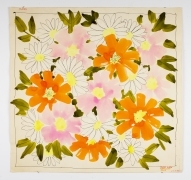 Her original drawings were the basis for all her designs of scarves, apparel, table linens, and a wide variety of licensed household and fashion items. 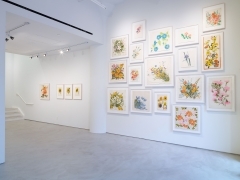 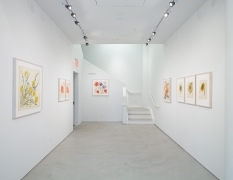 Arranged salon-style in the Gallery’s ground-floor space, the watercolors and drawings include images of flowers from Neumann’s Hudson Valley garden: daffodils, tulips, irises, bleeding hearts, roses, delphinium, daisies, sunflowers, and poppies; many featuring the Vera ladybug icon. 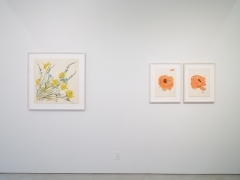 Susan Seid in conversation: Thursday, June 26, 2014, 6:30 pm. 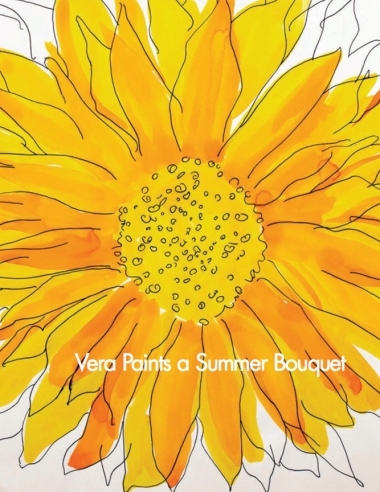 Seid is the author of Vera: The Art and Life of an Icon published by Abrams in 2010. 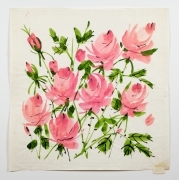 A graduate of The Fashion Institute of Technology and an industry veteran, she is the former owner of The Vera Company.